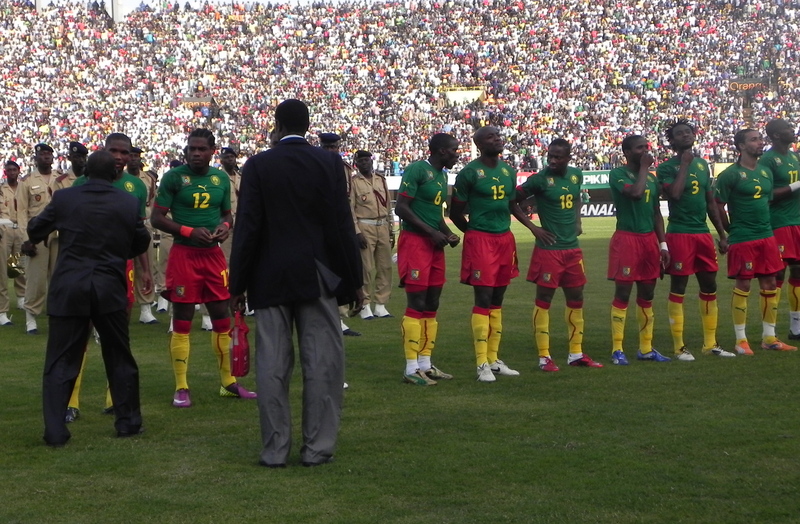 Cameroon’s head coach Denis Lavagne has named a squad of 28 players for a series of friendly matches slated in November. The Indomitable Lions will play against Sudan and Morocco in the LG Cup on before flying to Algiers for a friendly with the Desert Foxes of Algeria. Lavagne has handed a first call up to Spain-based Allan Nyom. The 23-year-old defender was born in France and started his career at AS Nancy before moving to Arles-Avignon. He then moved to Udinese in Italy which loaned him to Spanish Primera Liga side Granada FC. Tunisia based defender Yaya Banana has also been offered a first senior call-up. He was part of the Junior Lions team that reached the U-20 World Cup quarter-finals this year. The squad released on Thursday includes mainly players based out of Cameroon, except goalkeeper Jean Efala of Fovu Baham. Cameroon’s league is yet to kick-off for a new season. Benoit Assou-Ekotto, Georges Mandjeck and Somen Tchoyi who were absent from Javier Clemente’s recent lists, have all been recalled. But there was no place for Sebastien Bassong. Media reports in Cameroon say Lavagne will hold a news conference in Yaounde on Friday. He’ll use to opportunity to discuss his plans with the team and also explain his team selection. « Denis Lavagne the right man for Cameroon’s Lions?